First up on this fantastic nature day, we visit the ancient Cathedral Fig Tree. An 800 year old relic of the flora kingdom. Learn about the intricate life story of the Giant Fig while enjoying the morning chorus. Over 120 birds can be found and heard in the area. 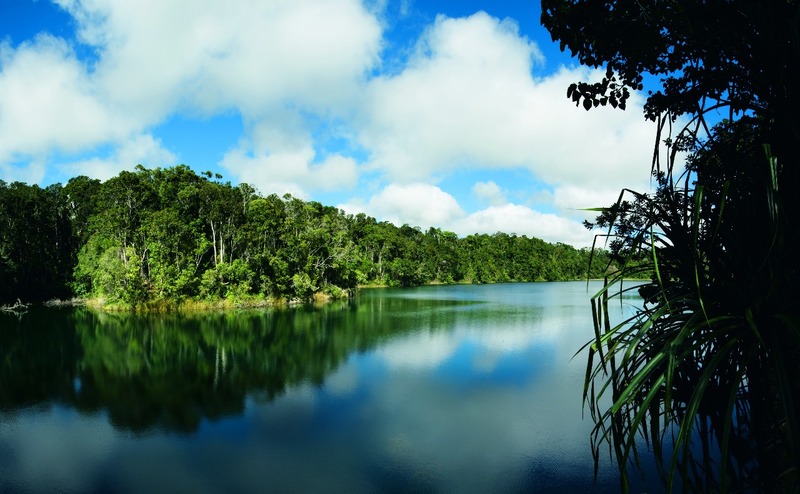 Travelling on further to Lake Barrine we delight in an interpretive journey through the lakeside rainforest. Enjoy a one hour lake cruise for more wildlife opportunities and learn about the European history of the area. Listen out for the infamous Victoria’s Riflebird and many other elusive creatures. We continue on our way for a delicious seafood lunch and some WILD Platypus spotting! We’re grateful that experience in the region has afforded us some great locations to sight these rare and unusual animals. To embrace to the overall beauty of the area we take in the tableland panoramas of Millaa Millaa lookout.